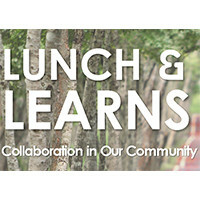 Join the first lunch June 15. The Webster University Summer Sustainability Lunch and Learn Series begins June 15 and runs through Aug. 10. The hour-long noon series addresses strategies and solutions to improve environmental, social and economic sustainability that are created and implemented in the St. Louis area. Topics in the series include local water issues and big rivers with a presentation by Alicia Lloyd of the Missouri Coalition for the Environment, the political fight for a greener world with Missouri Sierra Club’s John Hickey, and the influence and impact of teaching sustainability to elementary and middle school students with the College School. All sessions will be held in East Academic Building, Room 202, except for June 15, which will be held in Room 138. Parking is available in Garden Park Plaza parking garage. Following the Aug. 10 final session, attendees will be entered into a drawing to win a Rolling Ridge Nursery gift card and will receive one entry for each attended session. The series is co-hosted by Webster's Sustainability Committee and the Butterfly Energy Works, is free of charge and sessions include a boxed lunch. RSVP at www.webster.edu/sustainability/lunchnlearnseries.html. Contact Kelsey Wingo at kelseywingo07@webster.edu for more information.